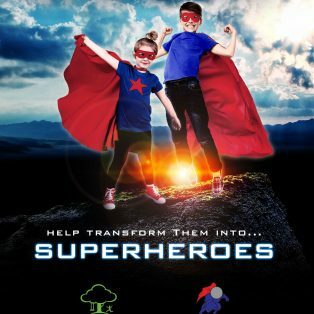 Nominate your junior Superhero today! We’re searching for 10 special kids who are battling illness, chronic pain and other health challenges to be part of a special project. The selected participants will receive; a custom-made superhero costume, a themed photoshoot and a giant poster of their photograph. Additionally, their photograph will be featured in the upcoming Superheroes of Victoria Junior Supers calendar which will be sold with 100% of the proceeds going to the Help Fill A Dream Foundation. To nominate someone you think would benefit from a once-in-a-lifetime superhero experience, simply share your story with us through email at [email protected] or send a message to Superheroes of Victoria. Please make your superhero’s story compelling and provide as much detail as you can. Deadline for nominations is September 22, 2017 so reach out to us and tell us why your child is a junior superhero.